Dr. Ben Fung's OMPT Channel Review! I was able to submit your receipt for my yearly subscription to my company and will be reimbursed as part of my continuing education benefits. I use your website often when I need to brush up on techniques that I may not have used in a while. The videos are short and sweet and i have even used the website to review right before my next patient. I really appreciate the explanations and rationales you give for when you use the techniques. I noticed you added some new content this year. "After 30 years in the profession, and having taking all types of courses, as well as having the pleasure of lab assisting for late Janet Travell, MD and John Mennell, MD, the format and ease of the OMPT site is a tremendous asset. The ability to watch select techniques taught by a passionate and master clinician for less than the cost of lunch is a fantastic way to stay current in your PT career and offer your patient’s the best care. The benefit for your patients and the addition to your skills that will come from this site makes the $5 per month a fantastic investment. So give OMPT Channel a try and pass it on to your colleagues. Maybe buy them a month trail instead of that Frappuccino! I am off to catch some assessment videos on my Kindle Fire. 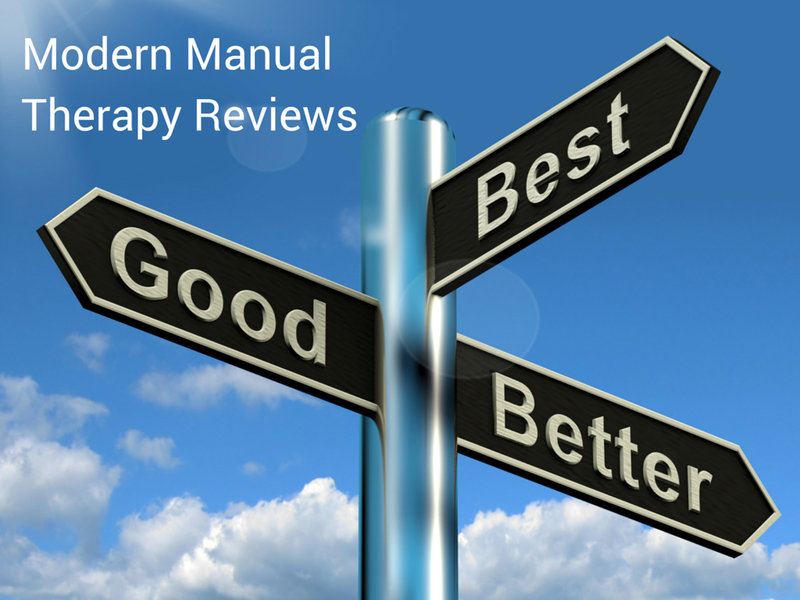 Right now go visit Dr. E’s The Manual Therapist site http://www.themanualtherapist.com/ for daily does of great Physical Therapy information and make yourself an OMPT Channel member." "The OMPT channel is well worth the time and money of anyone who considered themselves a manual therapist. Erson is able to draw from multiple disciplines and systems to deliver you proven techniques & assessments that you can use in your clinic that very day! You will not be disappointed." ""Hey Dr E! just wanted to take a moment and thank you for your amazing site the OMPT channel! It's a STEAL for the price! There's so many great insights and clinical gems. And i've been in practice for 20+ years. And the price is ridiculously low for all I've learned. Plus the access to your brain and the feedback you give is priceless. thanks a ton for helping me take it up another notch in my practice! " "I have known Erson over the past 5 years, first meeting him while studying at UB for my Doctorate in Physical Therapy. Erson taught portions of our orthopedic class at the time, and truly brought the value of the course to a whole new level. His knowledge and skills were an asset to the program. It was these experiences that motivated my interests in manual therapy, and helped to forge the skills and techniques that I practice today. Erson continues to teach at universities around the area, developing high quality graduates for the Physical Therapy profession. Erson further contributes to health care practictioners and patients alike with his high quality website and blog. Although I no longer interact with Erson in the classroom environment, I continue to learn from him on a regular basis. His site provides regular updates with case studies, literature reviews, treatment ideas, and technique highlights. The high quality material he provides keeps me coming back to his site day after day. Erson has been a huge impact in my development as a Physical Therapist, and I am proud to have him as both a mentor and colleague." "If you are a physical therapist that is passionate about manual therapy than the OMPT channel is the perfect resource for you. The channel has instructional and educational videos for physical therapists of all skill levels. Whether you’re interested in neurodynamics, spinal manipulation, functional release or mobilizations with movement, Dr E has something for all viewers. It’s exciting to see an experienced physical therapist with such a wide array of manual skills perform and explain his techniques. Personally I now use instrumented assisted soft tissue mobilization with Dr. E’s tool (The Edge) and have a library of videos from which to hone my skills. It’s refreshing to see a physical therapist that is so skilled in so many different areas- ie: (McKenzie, Mulligan, Paris, IASTM) share his “tips and tricks” with others. I am always looking for ways to improve while adding new tools to my toolbox. The OMPT channel is the most comprehensive online physical therapy resource I have found." "Dr. E's OMPT channel is a top-notch "virtual resource" for patient rounding, eclectic ompt clinical reasoning, and technical illustrations - highly recommended." "I can't say enough good things about your channel. I referred a friend that signed up as well. The Edge tool has been great. I purchased the starr tool from a chiro in CA years ago and it's like using a shoe horn compared to the Edge. You have really contributed to my knowledge and technique base and for that I am grateful." "This website has been so helpful, been working as a cert mdt for about 7 years, then was exposed to sfma while working for athletes performance for nfl combine prep this spring and changed my entire approach. Your website is unbelievable for bridging the gap between the two philosophies. Taking the first sfma course in July and would love to see more videos on sfma breakouts and how to treat pts based on sfma top tier findings... "
"So glad I invested in OMPT channel.I feel rejuvenated about my work again. Thank you."